One of the most popular films of all time is "Groundhog Day," starring Bill Murray. As the pre-humility Phil Connors, he is the perfect caricature of a self-absorbed personality. This film is a wonderful depiction of the learning of this life lesson about the importance of humility. A favorite character interaction in the movie is that between the well-practiced jerk, Phil Connors, and the well-intentioned, but mentally limited, bed-and-breakfast operator who makes an innocent comment about the weather. The TV weatherman, Connors, having probably practiced this before on other victims, launches into a full blown 65-word weather report ending with the snarky question, "Did you want to talk about the weather, or were you just making chit-chat?" Equipped with his newfound humility, the later Phil Connors is everyone's friend. He has not only demonstrated to others his appreciation for their presence in his life, but has contributed in many ways to their satisfaction, happiness, and well-being. 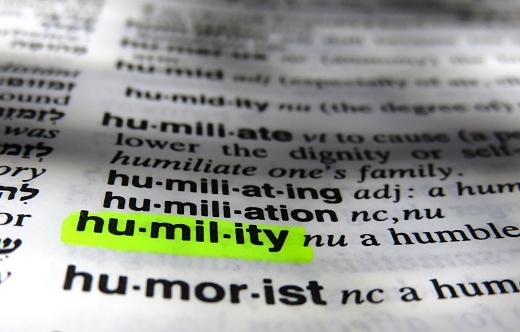 Everyone has witnessed someone who they've thought could benefit from a healthy dose of humility. The kind of people who always have a verbal come-back after someone remarks on having done something or been somewhere. No opportunity passes without them commenting on their own experiences. Only it usually is not just an, "I did that, too." Typically, this person has done it bigger and better than you did it. If you went up in a balloon, they went to a higher altitude. If you have a favorite pastime, they have already done that long ago. They have an, "I did it better," for every subject you bring up. They practice this without really realizing how obnoxious it is. In reality, they truly believe they are just being conversational. It all too quickly begins to reflect their own weak self-image. They fail to realize how they have turned the art of simple conversation into a contest--one they feel compelled to "win." 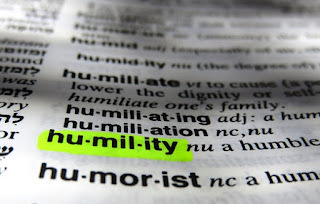 This, of corse, is the complete opposite to humility.